Natural wicker should be on a protected porch or patio out of direct sunlight. Wipe down the frame with a mixture of water and liquid detergent when it needs cleaning (generally twice during the season). 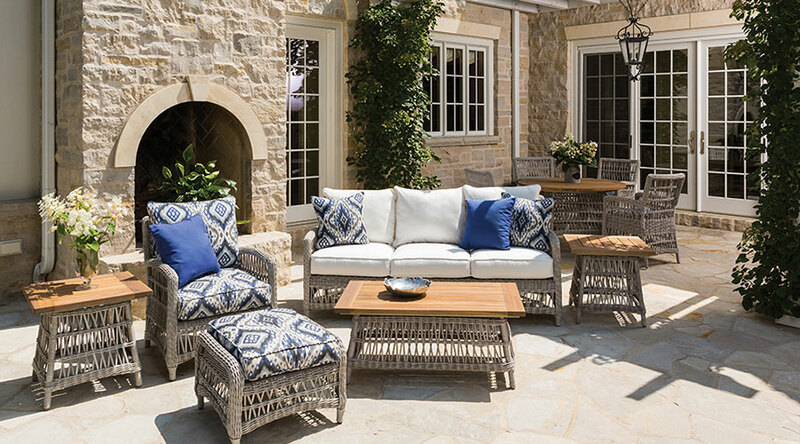 Paine’s Patio recommends that you store your natural wicker for the winter to prevent the wicker from breaking and keeping the finish from deteriorating. To clean your synthetic wicker wipe down the frames with a mixture of water and liquid detergent when it needs cleaning (generally twice during the season). For tougher stains you may use Feron Clean. Paine's Patio carries this product in stock. Let the Cleaner do the work for you.